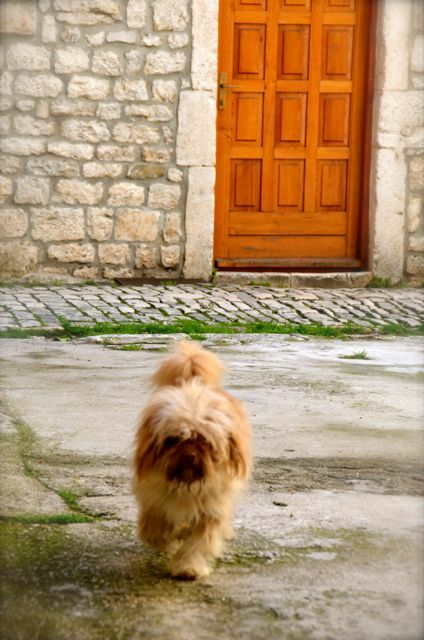 I really like the orange door behind Mr. Pooch! He looks like a friendly little chap. From afar, he looked as though he owned the neighborhood, but he was indeed friendly as he approached me. Quite the social butterfly. Enjoyed those images, Ruth; thanks for sharing! What spots did you visit in Croatia? His wild hairdo adds to his appeal for sure! That dog is one of the cutest! It’s color and that of the door’s are complimenting colors hihihi.